We are a leading Manufacturer of multi saree packing box bag, saree suit garment cover, saree combo bag and combo pack bags from Surat, India. 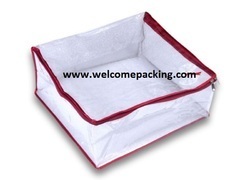 We are a leading Manufacturer of combo pack bags and saree suit garment cover from Surat, India. 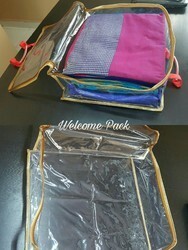 With sincere intentions to maximize our reputation in the industry, We are offering a comprehensive assortment of Combo Packing Bag in the market. These products are made at our sophisticated infrastructure facility.